The shoes as well as the hair accessories and the veil, below, are by Pnina, too, and they’re all also available at Kleinfeld. That’s the dress alone. Here it is with the optional pearl-bedecked shoulder accessory. swoon! We almost forgot to get a veil shot. Here’s Anna with her sister Mary, who’s wearing a Pnina Tornai evening gown from Kleinfeld. 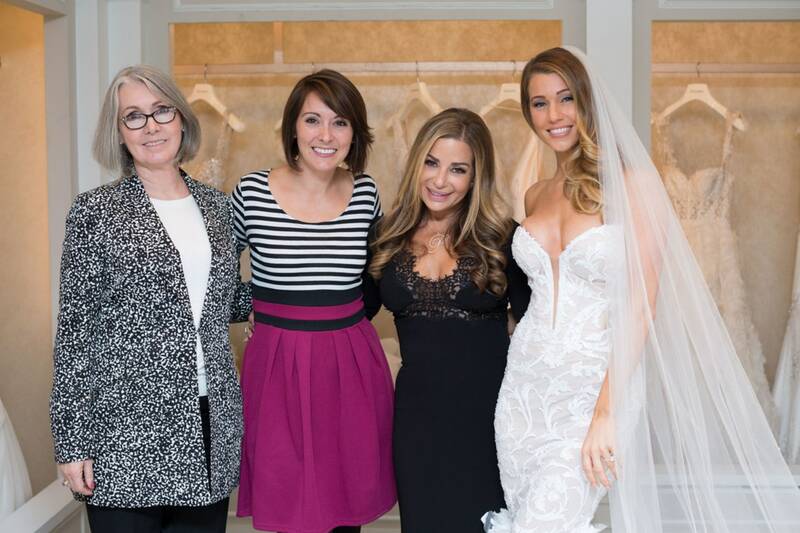 And here are the sisters with their gorgeous mom, on the left, and Pnina, who’s standing next to Anna.